Mexican oregano is not quite as pungent as Greek oregano and has a mild lemony-anise undertone in flavor. 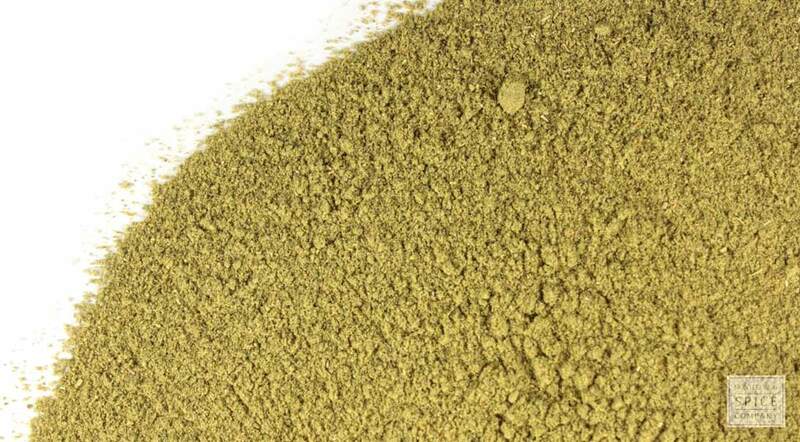 Using the powdered herb make it easy to add the distinctive flavor of Mexican oregano to your favorite Latin American and Tex-Mex dishes. 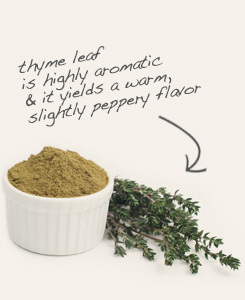 You can also combine it with cracked pepper, sea salt and other ground herbs and spices to rub on meats before roasting or grilling. appearance & aroma Light green powder with a mild, pine-like aroma. cosmetic Infuse in oil for use in soaps, lotions, creams and other topical formulations. culinary Use to season soups, stews, braised and roasted foods. May also be encapsulated as a dietary supplement. 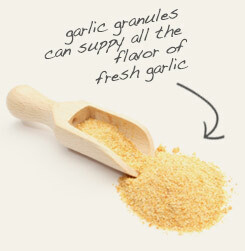 Pair Mexican oregano powder with garlic granules to infuse flavor in butters, dips and salad dressings. Combine Mexican oregano powder with thyme in rice, eggs and potatoes. Adds a rosemary-like flavor to foods. Mexican oregano isn’t a “true” oregano member of the mint family, but belongs to the verbena group instead. In addition, although it shares similar aromatic and flavor qualities with oregano (Origanum vulgare), the herb has a flavor profile that is closer to rosemary with a hint of citrus. Also known as scented matgrass and redbrush lippia, the botanical name for this plant is taken from the Latin words gravis and oleo, meaning "heavy" and "scented,” respectively. Mexican oregano is native to Central America and the American southwest, where it is used to lend flavor to bean dishes, soups, enchiladas and quesadillas, sometimes as a substitute for epazote.